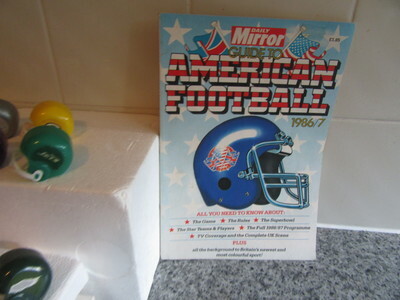 American Football really arrived in Britain during the 1980s. Channel 4 had a highlights programme starting in 1982 and wearing a Miami Dolphins shirt was a tell-tale sign that you had been on holiday to Florida. 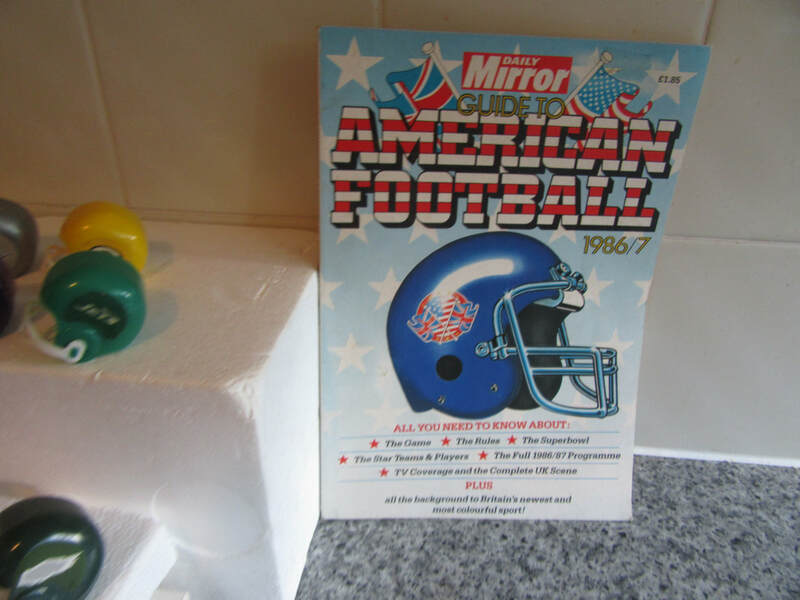 Association football, (soccer, proper football, or just football) was in a slump and certainly took lessons from the Grid Iron game. Improved tv coverage (including Monday Night Football), improved shirt designs and overall better marketing was to come in the 1990s but by then American football made its indelible mark on UK sports fans. 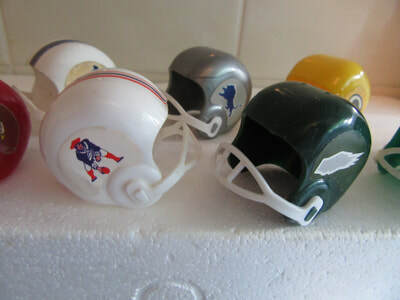 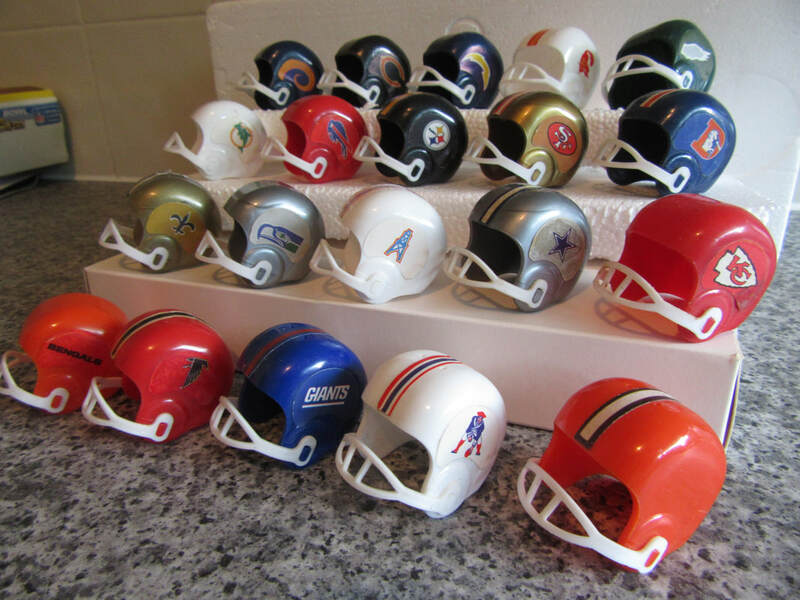 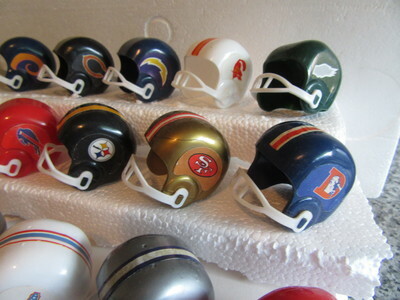 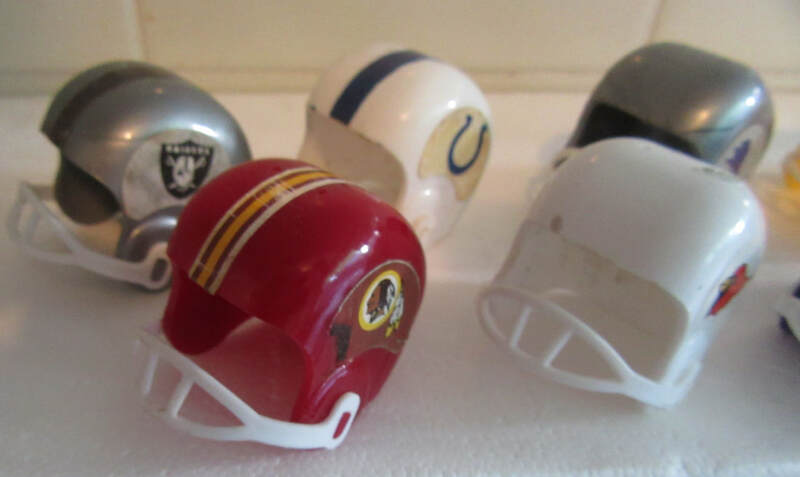 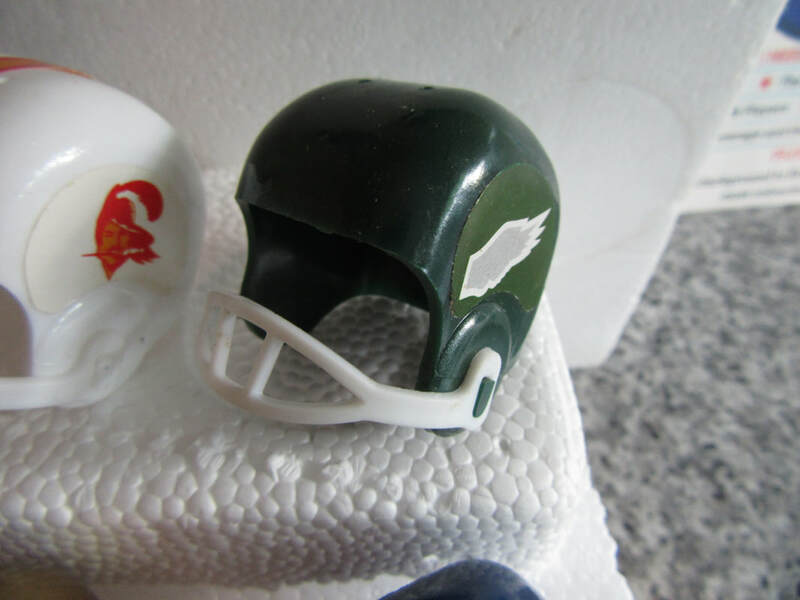 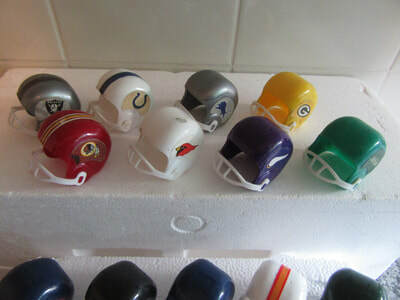 For the 1986/87 season Leaf produced a set of miniature helmets for the 28 NFL teams. 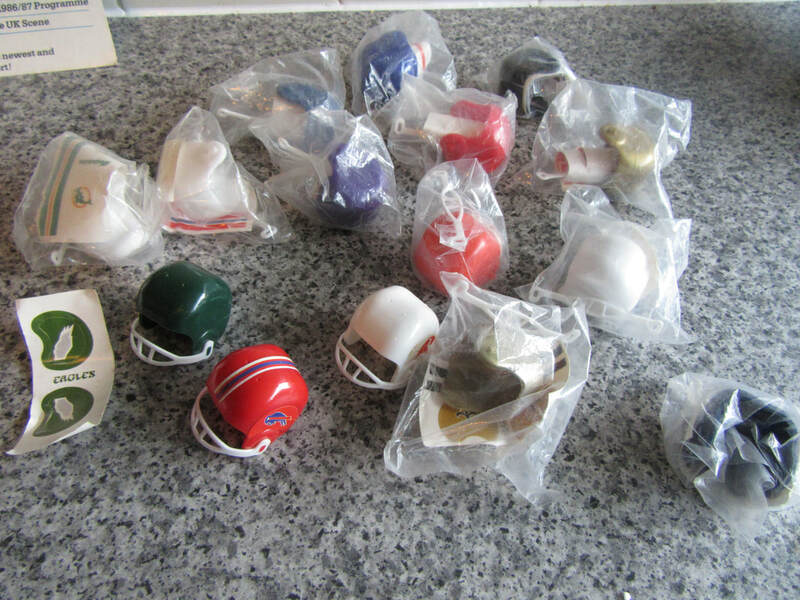 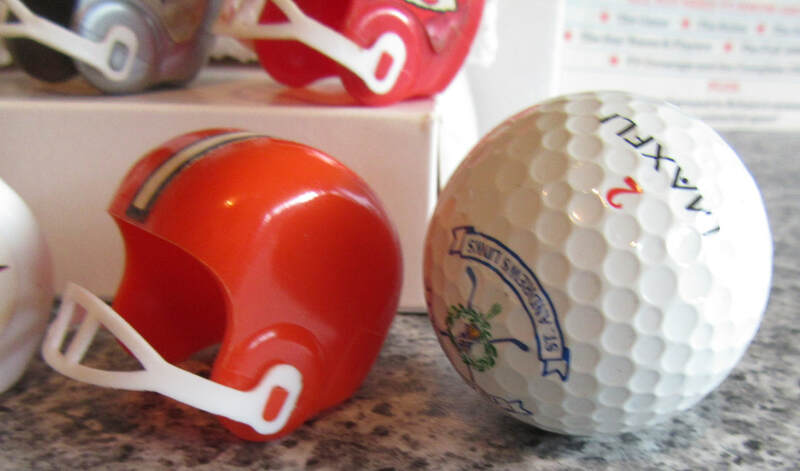 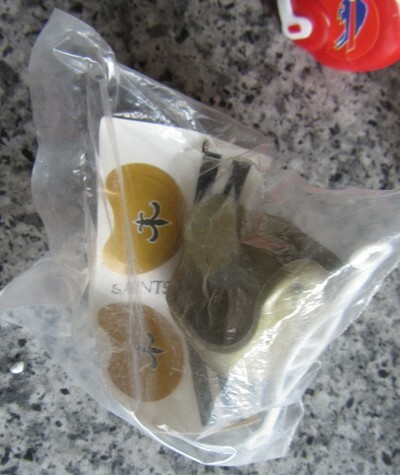 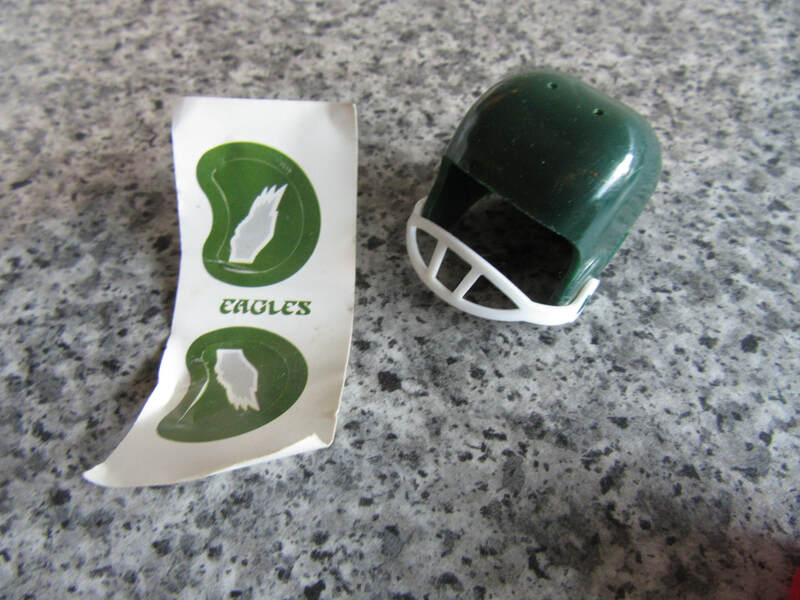 A plastic packet contained a helmet (slighly smaller than a golf ball)with chin guard (face mask) and stickers to go (usually) on each side and a stripe for the top plus two bubble gum footballs of the spherical type not the rugby ball shape. The designs were usually accurate but the Bengals' tiger stripe design was replaced with just the word "BENGALS" on the set described below, (on other sets the stripes were used on side panels). 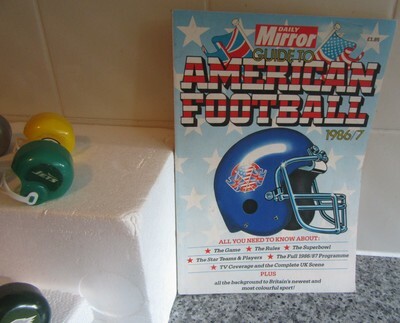 The packets were sold in the UK for 30p each from a box as shown in the advert on the back of the Daily Mirror Guide to American Football. 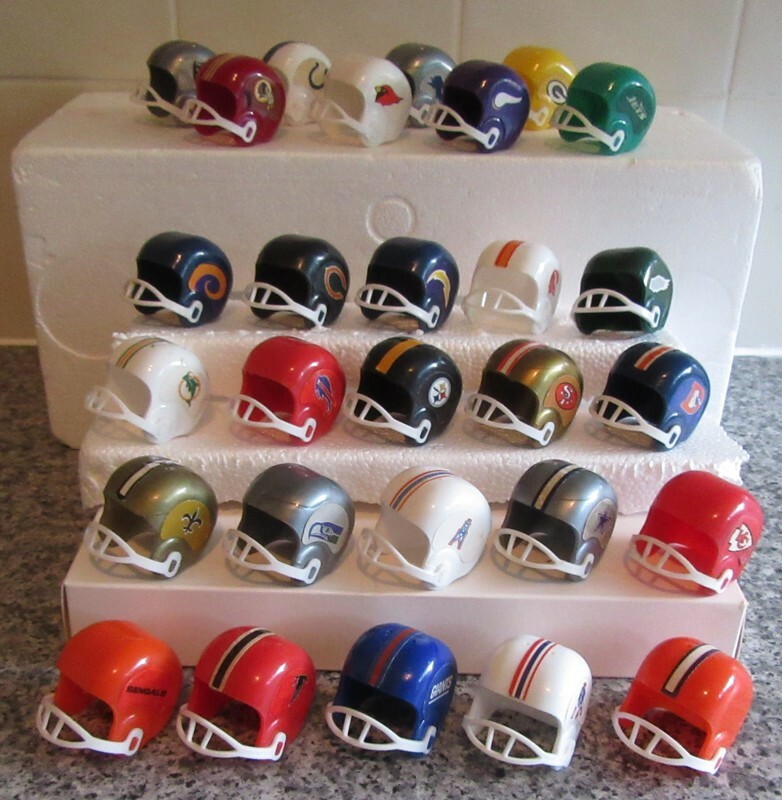 There was a second collecting phase when they appeared later in the "£1 shops". Since 1986 some of the teams have changed their logos and some teams disappeared altogther, however for many American Football fans in the UK of a certain age this set will remind them of the time when football touched down over here. 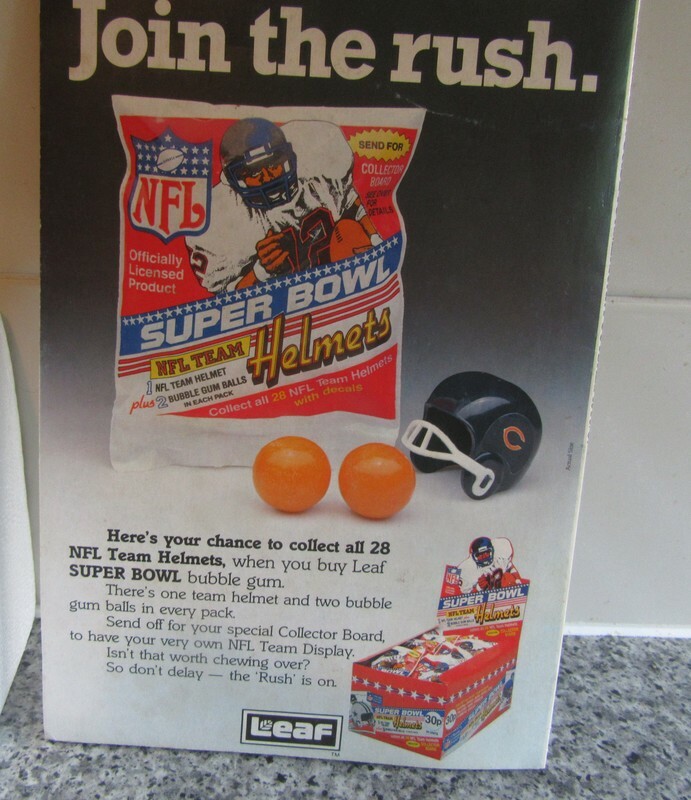 To find out more from the internet a search for "gumball helmets" will help.